Popular online retailer ASOS has seen its profits drop by 87% in one year, the firm’s financial results published on Wednesday reveals. In the six months to February 28, 2019, ASOS recorded a profit of £4 million before tax – down from £29.9 million at the end of the same period the year before. That’s a drop of nearly 90%. This comes despite an increase in revenue of 14% and a 13% rise in retail sales. 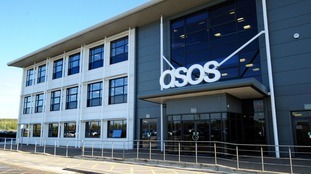 CEO Nick Beighton admitted ASOS is “capable of a lot more” and should do “a number of things” better. ASOS is “taking action accordingly”, he said. He said: “We are confident of an improved performance in the second half and are not changing our guidance for the year." Global online fashion is a growing, £220 billion market, he said, but he believed there would only be a “handful” of companies with “truly global scale” and he was “determined” to make ASOS one of them. “We now have the tech platform, the infrastructure, a constant conversation with our growing customer base who love our own great product and the constantly evolving edit of brands we present to them,” he added. Traffic to the website took a hit and was impacted by “some instability” in SEO (search engine optimisation) performance, the financial report claims. This was caused by multiple customer navigation changes to the website and the release of 200 local and smaller websites. While this release was “strategically the right thing to do”, it all had an impact on SEO rankings in the short term. Earlier this month, ASOS also announced it is changing its returns policy in a bid to deter "serial returners" from its website. The online fashion giant said the change could lead to some users having their accounts deactivated. Serial returners are shoppers who deliberately buy several items knowing full well they won't keep some of them. In an email sent to customers this week ASOS said: "If we notice an unusual pattern, we might investigate and take action. "It's unlikely to affect you, but we wanted to give you a heads up."